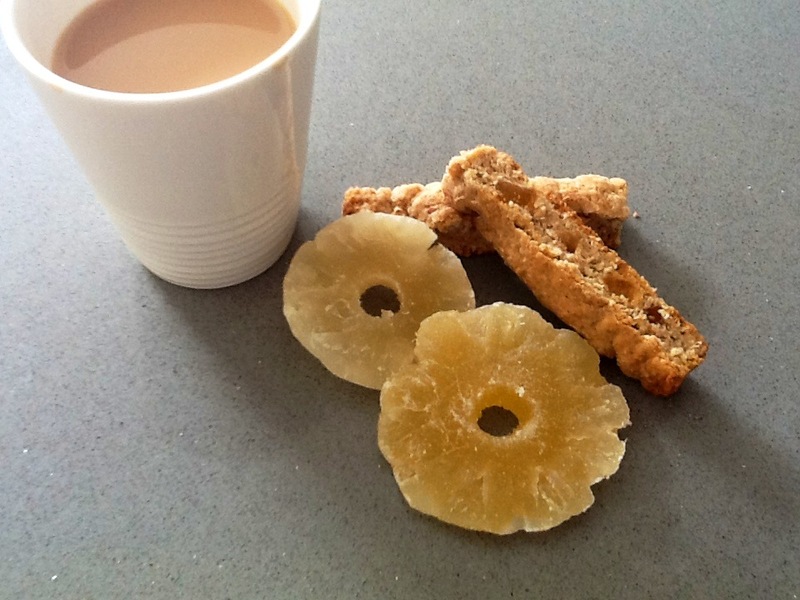 Pineapple and coconut have long been a popular combo (think pina colada!) These rusks were a favorite at my office which is where I experiment with my new recipes on my unwitting colleagues. See what you think and let me know. Spread coconut in a single layer onto a baking sheet and toast at 350 (180) degrees until golden. Don’t let them brown too much in the oven as they continue to brown when removed from the oven. Tip: Shake the baking tray occasionally to prevent the ones that brown early from burning. Mix the flour, baking powder, pineapple and coconut together. Stir in the egg mixture. Press evenly into a large greased baking sheet. Bake in preheated oven at 180 degrees for 30-45 minutes till golden. Cut in the pan. Dry out in a very low oven for about six hours. I think this recipe need revision. Sesame seeds? Hi there, there is someone at http://www.kezia.co.za who makes rusk cutters. He’ll be pleased if you tell him you were referred from this site. Good luck with your rusks.